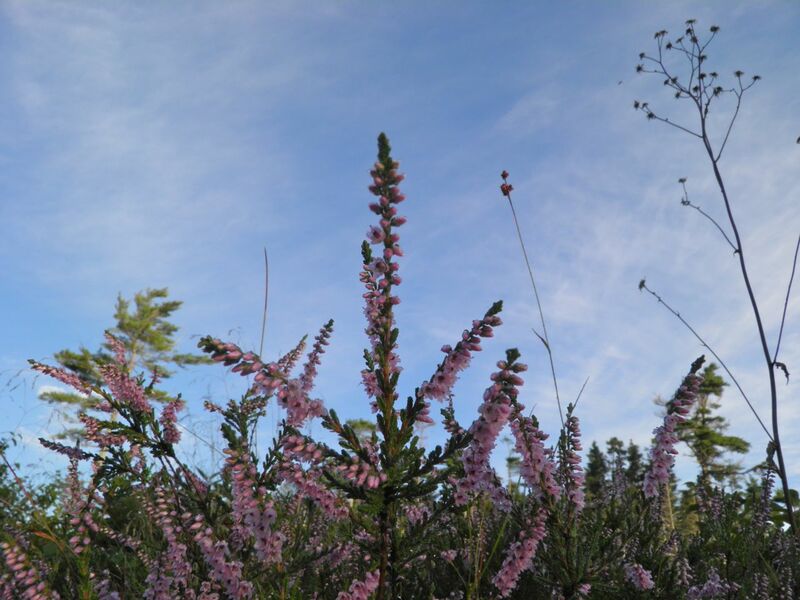 Calluna vulgaris, otherwise known as heather. Henry and I were down to Point Pleasant Park early this morning. Heather wasn’t with us. She was already there. Actually not she, but it. I’m referring to Calluna vulgaris, or common heather. Heather is eaten by many grazing animals both domestically and in the wild. 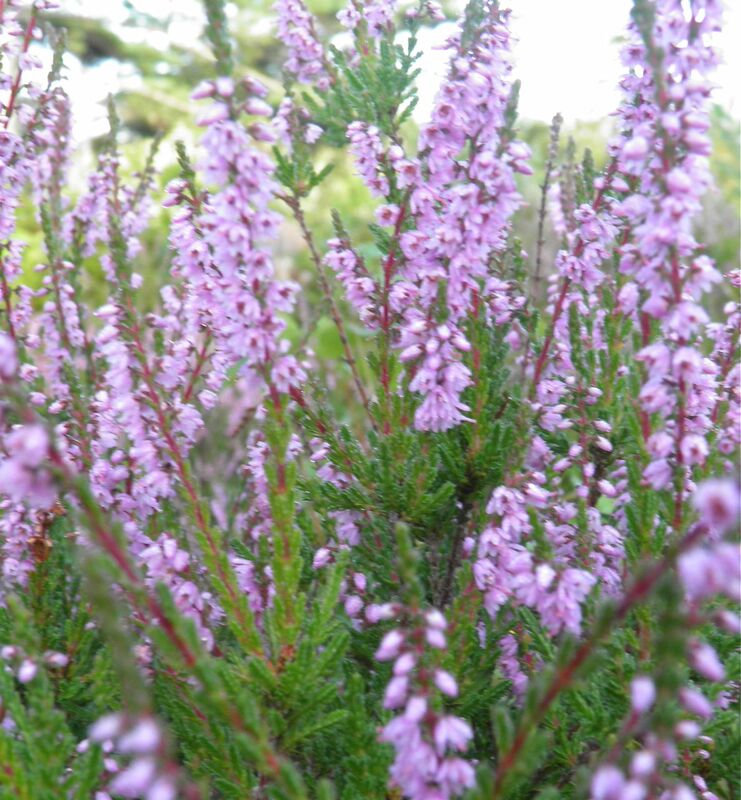 In Medieval times heather was used as a substitute for hops and is still used to dye wool yellow. It has also been used in the process of tanning leather. But back to Point Pleasant Park. Nova Scotia is Latin for New Scotland. We have had immigrants arriving from Scotland to settle in various parts of the province since the mid 1700s. 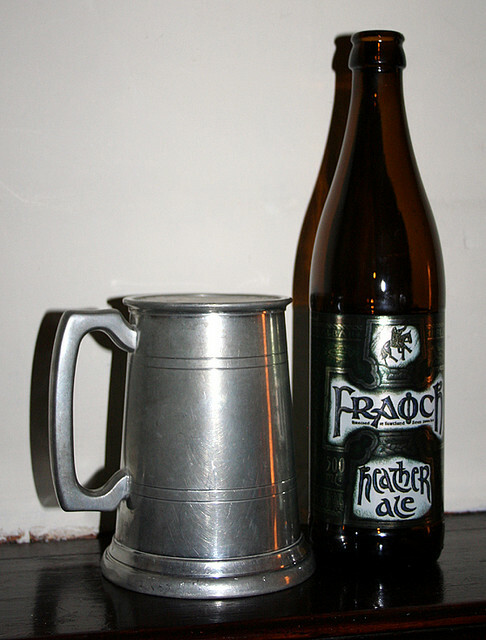 Pictou and Cape Breton still take great pride in their Scottish heritage, to name just two areas of NS that do so. Some of the first Scots to arrive were soldiers under the command of General Edward Cornwallis. 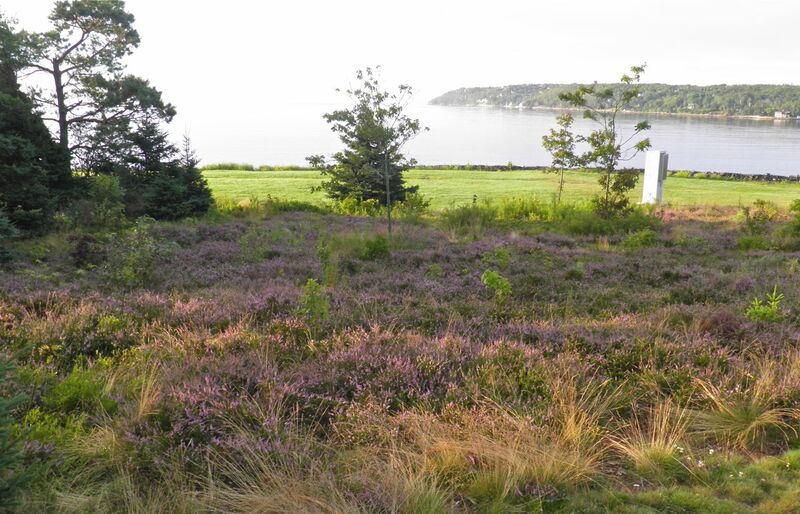 It is said that their bedding contained seeds of heather which were shaken out onto the ground of a campsite in what is now Point Pleasant Park. 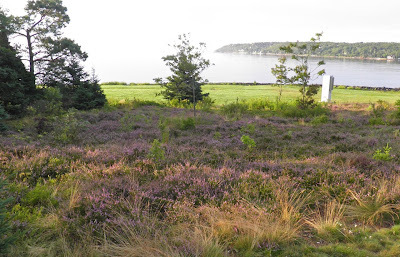 It is quite plausible, as the heather starts just metres from the shoreline and since has naturalized in wide areas of the park apparently radiating from that point. 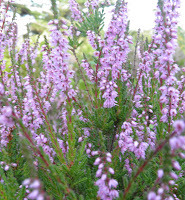 Heather is sold commercially in garden centres and comes in varied colours. Common heather is light pink. Available cultivars include Beoley Crimson (red), Boskoop (light purple), Cuprea (copper), Firefly (mauve) and Long White. They make beautiful mounds and are extremely floriferous. The height usually ranges from 6-24”. Heather is quite forgiving as to what soil it likes and can thrive in both wet, peaty soils and fairly dry. This is borne out by observation in Point Pleasant. It grows pretty much wherever it wants. So what can we do with the marvellous plant? Unless you’re into brewing your own beer, one of the simplest ways to use it is to dry the flower stocks and collect the blossoms. In this way you have captured a vestige of summer to use throughout the cold and dreary months of winter. I'm certain dried heather blossoms would be available at Planet Organic or many homeopathic/natural products stores if foraging isn't an option. This is supposedly the Cornwallis campsite where the first heather seeds were dropped. This is only difficult if you have trouble with string. Simply take bunches of heather sprigs, tie together and hang upside down in a well ventilated warm area. A garage or attic is ideal. Just make sure there’s good air flow. You can use them to flavour teas or even make a liqueur. I posted a lavender liqueur recipe a few month's ago that would work with this ingredient swap. But today we’re making whiskey iced tea. 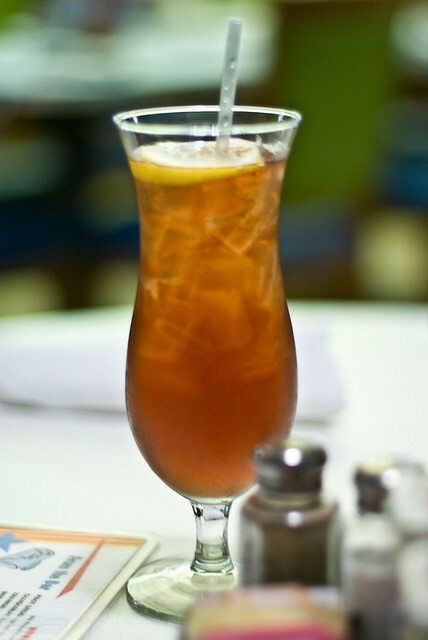 The following recipe combines heather scented tea with whiskey and simple syrup for a refreshing highball. This takes a little prep, but if you’re having company over it’s all make-ahead, so it’s no big deal. Total prep time shouldn't be any more than about 15 minutes, plus chilling time. Combine all ingredients in a pot, bring to a boil and let simmer for 5-7 minutes. Strain, pressing out as much liquid a possible without forcing sediment into the tea. Put in a container and refrigerate. Combine the sugar and water in a saucepan. Bring to a boil and let boil for 5 minutes. Remove from the heat, let cool, and refrigerate. Like any mixed drink, the quality of the finished product depends on the quality of your ingredients. Nasty whiskey will make a nasty dink. Use your favourite. Combine in a highball glass over ice. Stir and serve. *Oolong tea is a semi-fermented tea that is partway between green tea and black. It is known for its intense and flowery qualities.